A CD album cover serves as the first point of contact between a listener and your music. A good design will help to increase your promotion and boost your reach of music shared. When creating your design for your template, choose fonts and colors that reflect your identity and individuality of music. Using basic geometric shapes will give a contemporary feel to your album. You may also choose to use your own image or portrait. The following CD album covers for InDesign is a great place to start the process for creation. The templates available on this site are perfect to use for Adobe Illustrator, InDesign, CorelDraw, and more. A collection of how to videos are also available to help you quicken the process for completing your project. 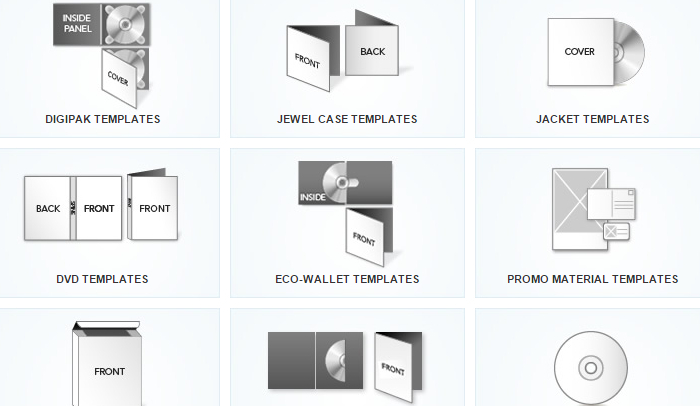 Choose from several styles of templates ranging from folders, promo, and jewelry cases. Extra resources are available to the user to include logo fonts, packaging templates, and retail box templates. You can preview the collection of templates at Oasis Disc Manufacturing and download directly from their site. 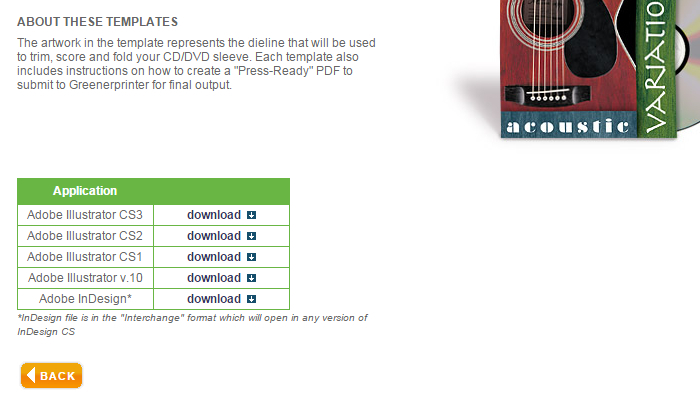 Each file comes with a folder template, traycard template, and on disc label template to use. Industry standard logos are also available to help save you time. If you decide to not design your own cover, this ite offers acces to graphic artists that will customize the work for you. A large variety of media templates are available on this site to use with Photoshop, Illustrator, and more. You can submit your materials on the page if you want to have your cover professionally done. Choose from their selection of styles ranging from long run sleeves to jewelcases. A handful of professional templates can be found on CD Baby and are perfect to use with Adobe Illustrator, Photoshop, InDesign, and CorelDraw. Remove the template guidelines before saving and uploading your final PDF design to the site. It is recommended that you use a high resolution of 300 PPI and convert your design to CMYK color. Choose from eco wallet styles to digipak’s and jewelcases on their site. This great site has dozens of standard artwork templates that are perfect for CD covers, jewel boxes, and digipak’s. Choose from the variety of templates you can use in Adobe Photoshop, Illustrator, InDesign, and Acrobat. UltraDisc also offers a variety of other services such as CD duplication, digital printing, and large format printing. For the more simplistic user, these templates are perfect to download and create a press ready PDF document for final printing. Multiple formats are available that work with Illustrator and InDesign. For eco-friendly artists, you can get green friendly printing ordered from this site ranging from soy inks and carbon shipping. Having an invoice template to work from will help to streamline your business and spotlight your company logo and process. These InDesign invoice templates serve as perfect resources to get you started and customize to meet your individual needs. This template is offered for free to their users and includes four layers with fill it in areas to modify as needed. Export to a pdf for pringing. A few standard fonts are included as well as a logo area to easily upload your image file to. The template is available in a file type that works with Adobe’s Creative Suite and InDesign. Don’t forget to check out their sample deposit invoice as well. 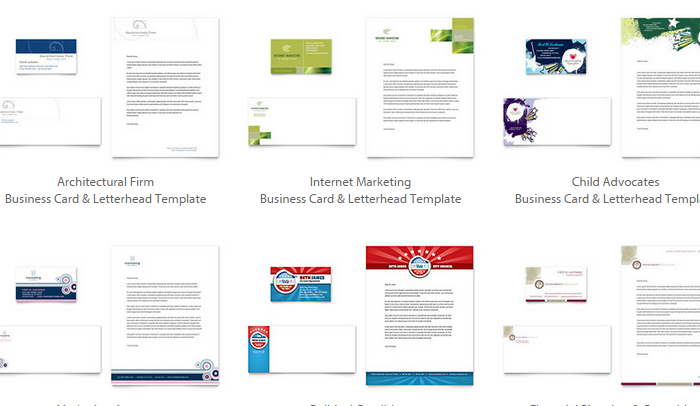 With a huge collection of printable business templates, you can get a copy of their invoice template for free. With unlimited commercial licenses for all sets, you can get the complete selection of source files and choose from multiple designs, with more than 10 colors. 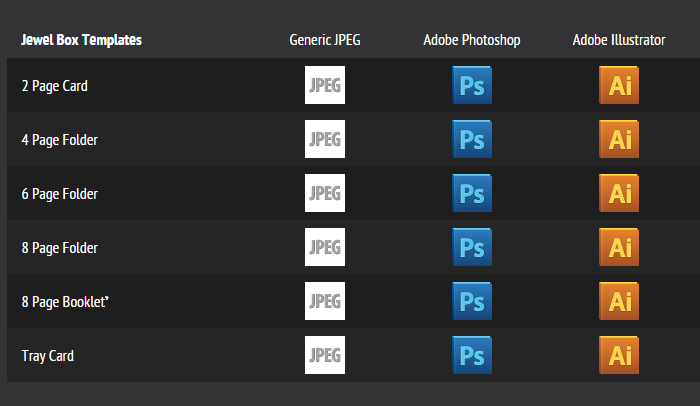 Three file formats are included that work with InDesign and Photoshop. Premium templates available for free download with more than 35 designs to choose from. 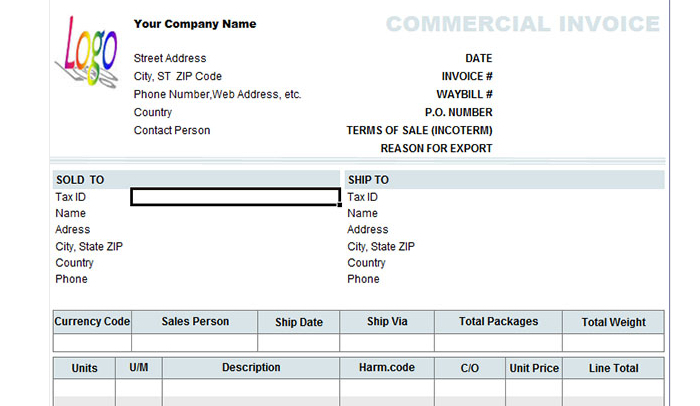 These invoices are available in PSD, DOCx, XLSX, and ODT file formats for easy editing. These are perfect to use for a variety of professional businesses and meet the needs for multiple skill levels when it comes to putting the template into action. 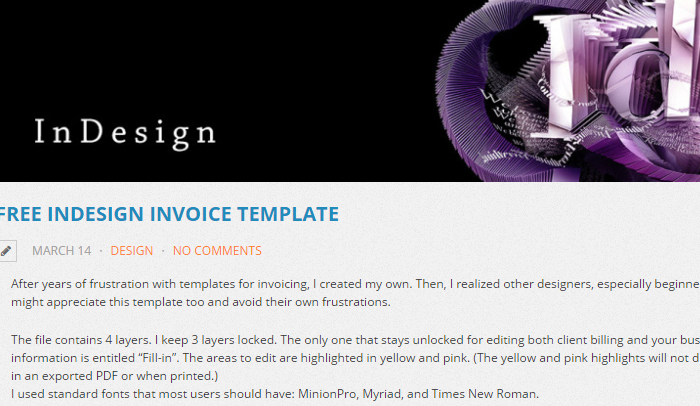 For those that desire a few more design functions, paid for premium templates are also made available to users. Dozens of free and premium style templates are available on this site. 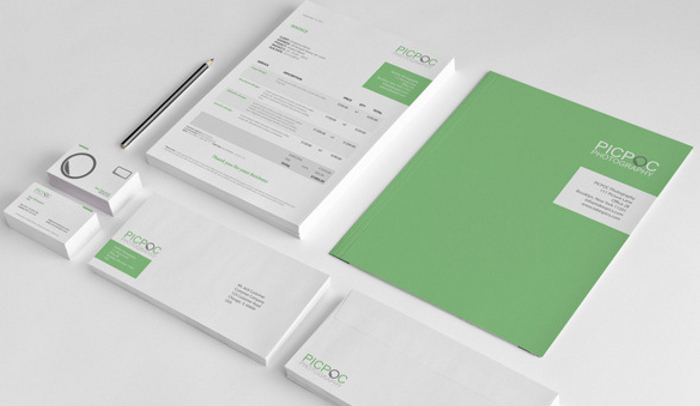 Get coordinated designs for your business cards, letters, and proposals. 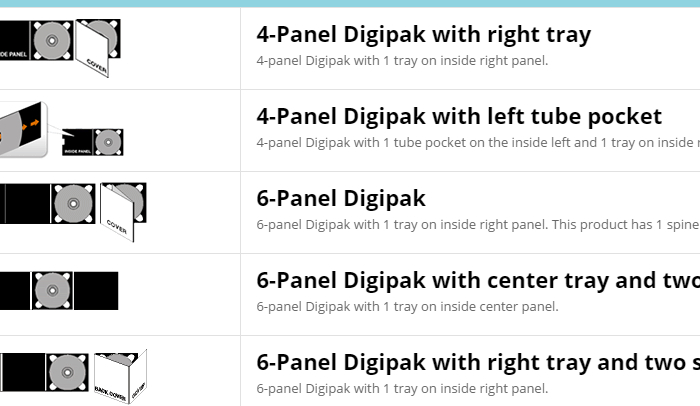 More than 600 free design templates are available in their user packs. A full free pack can be obtained with personal license with packages ranging upwards to commercial licensing options. 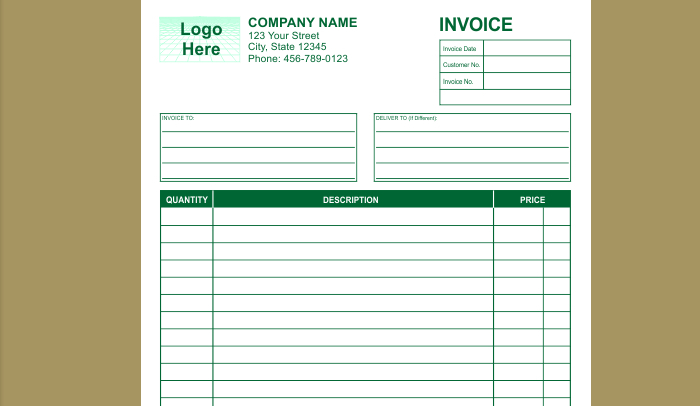 For the basic users, this standard invoice template is perform for Word formats and InDesign coming in more than 5 color options. Two variations of these templates exist and can be downloaded directly from the site below. 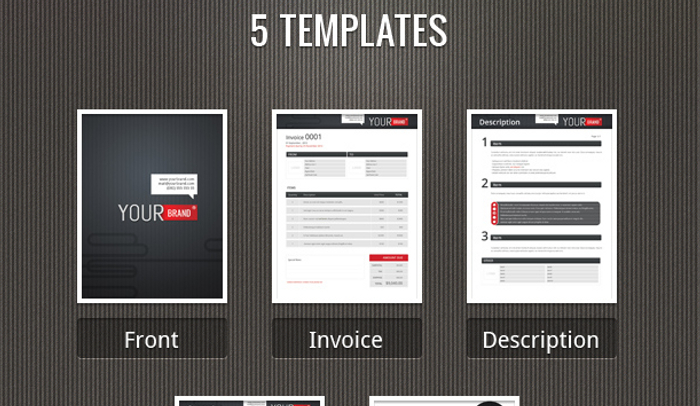 This site offers more than 50 invoice templates that range from free downloads and premium offerings. Many of these designs are conveniently placed with crisp lines, stylish fonts, and essential attributes such as logo area, header, and footer. Browse through the many options of design, styles, and colors to find the one that is right for you. 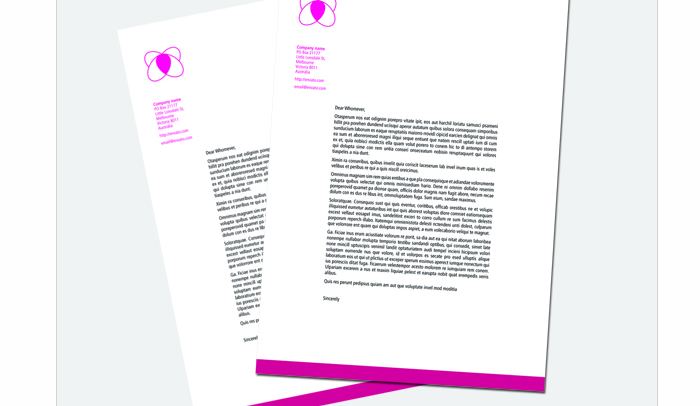 Integrating a letterhead onto all of your documents and correspondence is a great way to raise brand awareness and can serve as an additional advertising tool. Letterheads with logos are not only professional, but can also add a form of legality to your document and make it stand out among your competition. Take a plain piece of paper into the next level by customizing your own letterhead using one of these free Indesign templates found below. 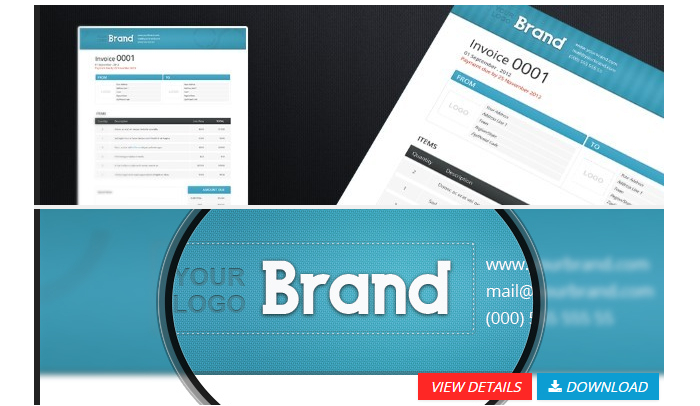 This site offers a variety of letterhead templates for any industry and allows you to coordinate your design with your business cards and envelopes. Layouts can be edited in a variety of programs to also include Illustrator, Publisher, Word, and CorelDraw. 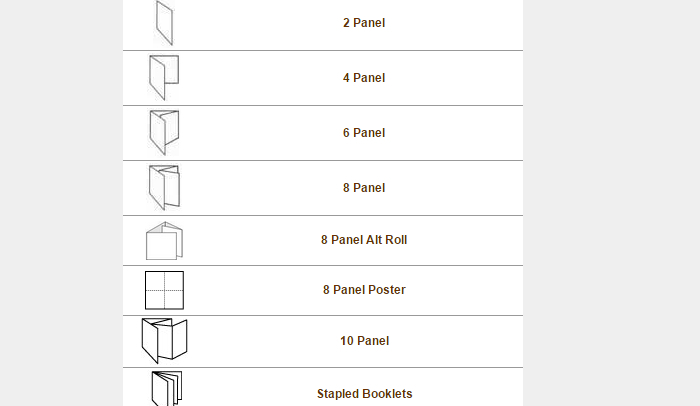 Browse more than 18 pages of designs. 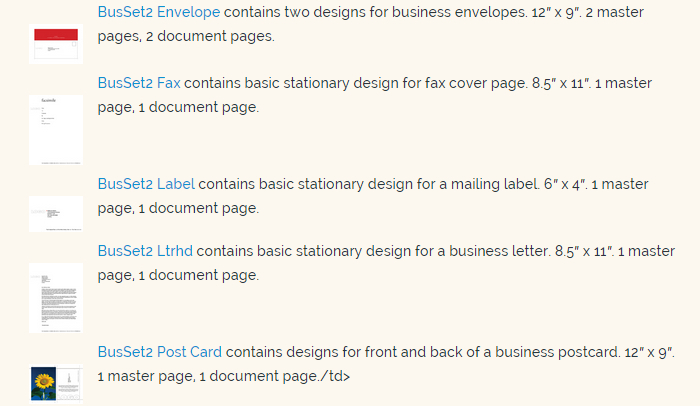 Dozens of Indesign templates are available on this site to include more than a dozen business resources for letterheads, business cards, labels and more. Simply click on the desired document to immediately download to your hard drive. All templates are available in CS4 format or later and are distributed as is with their own licensing agreements attached. This website offers simple templates for letterheads, business cards, press releases, and coordinating envelope templates for your business. For the quick and editable solution, simply press the link for a one click download and upload your logo image and business details. For Indesign CS5 users, tutsplus is the perfect option for those looking for a quick and free letterhead template download. Simple editing directions are also provided on how to open your new document, insert the logo and choose your desired typeface. Next, add graphics and align the edges to finalize your base template for future correspondence. 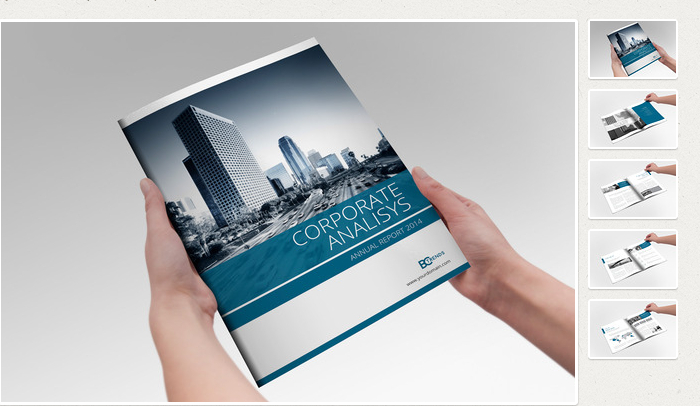 Creating an annual report for a business each year is an ideal way of externally communicating with shareholders, investors, your customers, and anyone that may require information about your company. This is the best method for sharing important information about your business’s new developments, objectives, successes, goals, and current financial situation. Visual element s may be integrated to show the data outlined in tables or charts. 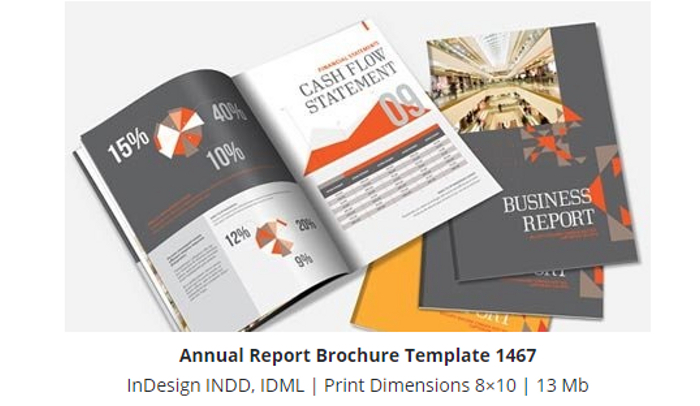 To provide you with ease in generating your own annual report for your organization, the following Indesign templates for annual reports will help to expedite your process. The annual report templates available on this website include high resolution graphics, multi font options, pre-established paragraph sections, tables, and cells for data. Layers are differentiated for separate text, background, and images. 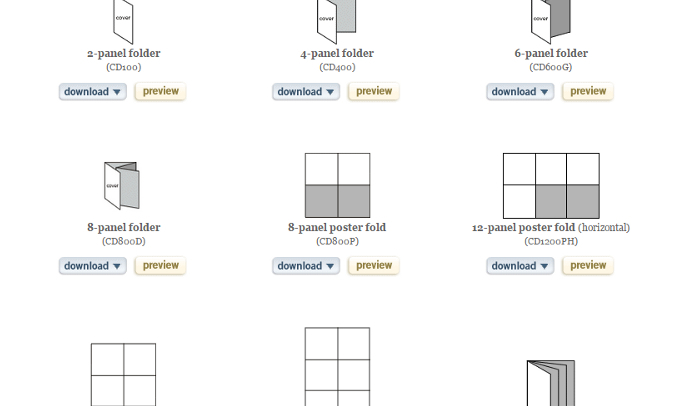 This template includes swatches and is set to be ready to print. The best part of this site is that the template is available to you for free. This fully editable template includes a help files for users with easy to change colors. 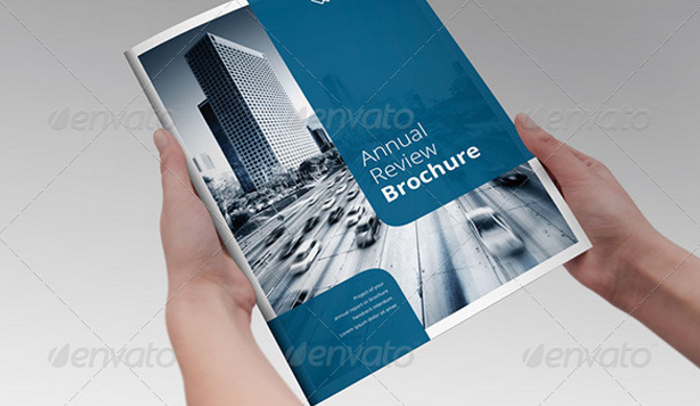 Available in both letter and A4 size, there are more than 16 pages predesigned available. A variety of paragraph styles are included with standard system font system. With 300 dpi and CMYK, this template will save you time and money. This editable Indesign template is available for CS2+ programs and has free fonts and more than 16 pages included. 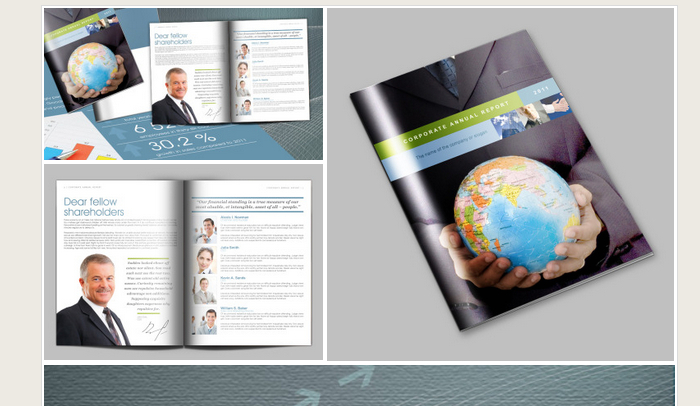 This annual report is fully editable to include the color, font styles, images, and paragraphs. An affordable download that only requires a simple license to operate. This free template is a perfect option for any business or individual looking to represent their firm’s accounts and corporate legislation. With a management review to balance sheet and income statement, feature your current financials and organizational goals in one place. Multiple sheets are available in this template to include a message from the chairman, the company’s history, their key team members, and important management discussion and analytics. This template provides a perfect way to summarize your yearly successes. 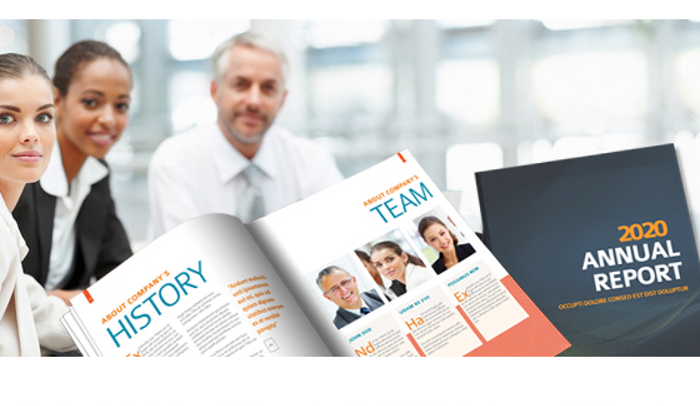 Designed for a standard letter size report, this 16 page annual report brochure captures a professional and clean appeal while featuring key components to your business. Two color schemes are available to choose from along with annual financial statements and reports, corporate profiles, and business development initiatives. 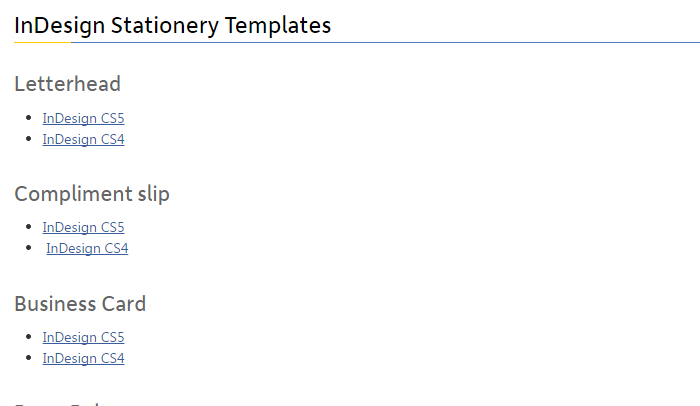 A help file is included along with compatibility for Indesign CS4 or CS5.